While the faith-based crowd have cornered the market on successful religious dramas featuring B-list stars, Hollywood has struggled to compete with larger studio efforts. 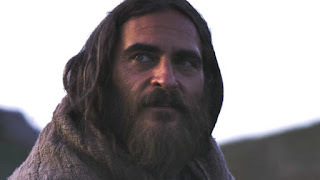 It's tough to shake the "blasphemous" label with a film such as Darren Aronofsky's Noah, for instance, and a long time has passed since Mel Gibson struck just the right pitch with The Passion of the Christ. 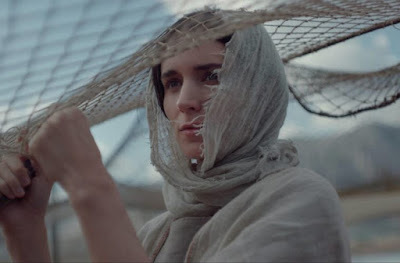 Garth Davis' Mary Magdalene is, for a movie featuring two unquestionable A-list stars in Rooney Mara and Joaquin Phoenix, about as sincere an effort to appeal to everyone as possible, which proves to be both a curse and a blessing. Risen from the ashes of the Harvey Weinstein scandal, Mary Magdalene was, depending on who you asked, either forgettable or a possible awards contender last year. But when Weinstein went bankrupt and the film entered into cinematic purgatory, it was rescued by another and set for an Easter 2019 release, definitely not a coincidence. Davis' followup to his dramatic hit Lion is a decidedly feminist, revisionist take on the story of Jesus' closest apostle, told in a simple manner that you won't need the good book to decipher. Mary, played in Mara's typically understated and doe-eyed fashion, is restless at the thought of a forced marriage. After proving herself something of a wild child who repeatedly takes risks (a radical but life-saving procedure as a midwife) and questions the men around her, Mary is presumed to be possessed by a demon. That's all the reason she needs to strike out on her own and latch on with Jesus Christ, played by Joaquin Phoenix, and his merry men as they preach the word of God and perform miraculous feats. The mandate by screenwriters Helen Edmundson and Philippa Goslett is clear and worthy, which is to rehabilitate Mary after centuries of demonization by the Church. While she's not altogether saintly like Monica Bellucci's version in The Passion of the Christ, Mara's take isn't especially interesting, either. Generic backstory aside, she doesn't actually do much but cast empathic glances at the dopey men she travels with, while occasionally taking time to tell them all the ways they are wrong. Not sure how that take on Mary Magdalene will go over with certain people, but it's likely to be tiresome for a few and welcome to others. Others are likely to incur stronger reactions. Peter, played by Chiwetel Ejiofor, comes across as particularly stubborn in a man-splaining kind of way. Meanwhile, Tahar Rahim as Judas practically steals the whole movie, giving the betrayer a fully-formed evolution and a reason for his actions. Phoenix as Jesus Christ holds a ton of potential, most of it realized. That is, of course, unless you wonder how Jesus became an American white dude who sounds like he just stepped off the set of Inherent Vice. There are similar questions about the..*ahem*..fair-skinned Mary Magdalene, but whatever. Yeah, it's a distraction at first but both are deeply-committed to their portrayals, grasping on to the gravity of who they are playing. Unsurprisingly, Phoenix's take on Jesus gets better the more he grapples with the weight of his burden. Few are better than Phoenix at capturing emotional torment, which there is here in abundance. However, most of the character conflict is internalized to such a degree that it becomes a drag on a film that can charitably be described as "measured." While the perspective Davis and his screenwriters share may not always jibe with traditionally accepted views, Mary Magdalene is anything but inflammatory. It's a decidedly humanist, soul-searching film about a woman who finds purpose in believing in something greater than herself. What it lacks in passion, Mary Magdalene makes up for with good faith.